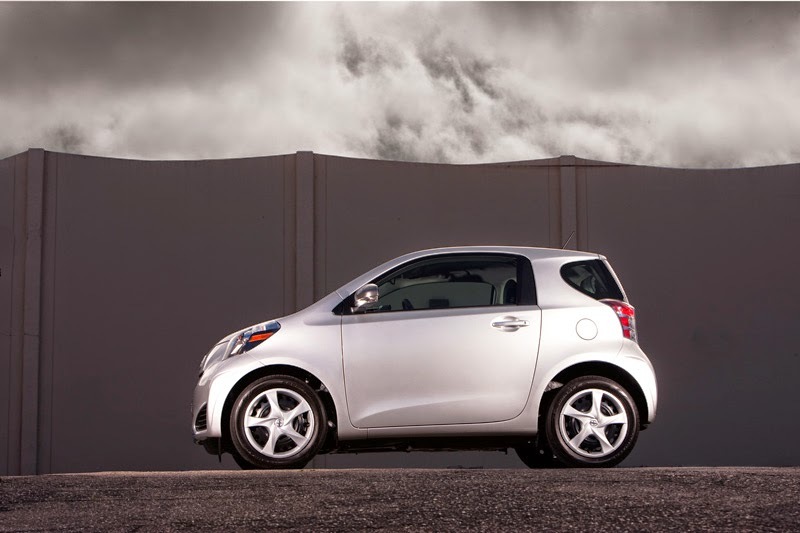 Back in in 2011, I predicted Scion's iQ microcar would put the hurt on the Smart ForTwo. I thought the tiny Japanese-made errand runner would wipe the floor with the European Smart ForTwo. I mean, how could it not? It was better in nearly every way than the ForTwo. It drove better, it was more comfortable, was arguably more practical, and had Toyota's reputation for quality behind it. Yet I sit here typing to tell you that 2014 is the last year for the iQ in North America. Guess who's "smart" now? Sales never took off for the iQ and it never bested the Smart ForTwo's numbers as you can see in the chart below. We still like the iQ better than the ForTwo, and are sort of sad to see it go. I think more marketing and a lower price could've probably helped sales. Frankly, it's a bit crazy to me that a car as bad as the current ForTwo has sold as well as it has when the iQ is clearly the better vehicle. Now that the iQ has been giving packing orders, when Smart unveils its new—and likely very much improved—ForTwo and ForFour, it will go veritably unchallenged in the North American microcar market, since the next smallest vehicles are the Chevrolet Spark and Fiat 500, both of which are significantly bigger. The iQ was only available for three model years, which is a pretty short time. Could the iQ become a collector car? I suppose, but I wouldn't hold my breath. But it was a neat experiment to see if any car could truly compete in the micro segment against the ForTwo and come out victorious. It was a lopsided battle where two cars entered and one car left. It just wasn't the one I expected.